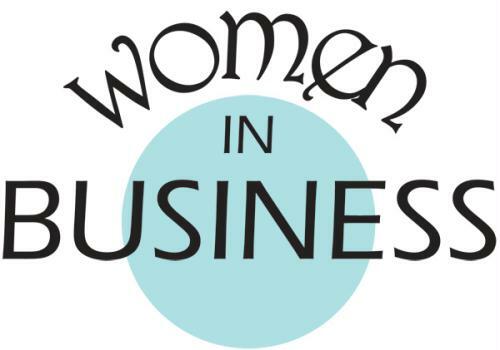 This "Women in Business" event, Presented by Girls in Pearls Boutique and Bria Bella & Co. - , provides an opportunity for women in the Central Wisconsin area to network, talk about issues that affect their daily professional lives, learn something new and have fun doing it. This event will includes a fashion show, lunch and networking. "Women in Business" is open to the public. Plated Luncheon includes: Raspberry Chicken Salad (Crisp Mixed Greens tossed in Raspberry Vinaigrette and garnished with fresh Mango, sliced Strawberries, Candied Pecans, Feta Cheese and Grilled Chicken Breast), Bakery Fresh Rolls & Pure Butter, and delicious Chocolate Seduction Cake (Rich Chocolate Cake with Dark Chocolate Filling and Toasted Almonds and an Amaretto Glaze) for dessert, coffee, iced tea & milk. Join us for our LARGEST Women in Business Luncheon and ANNUAL FASHION SHOW to date!!! Treat yourself and see the unique selection of clothing, accessories and one-of-a-kind pieces by Girls in Pearls Boutique and Bria Bella & Co. We will see what is chic on the streets and trends to watch for this season. Guests will be treated to a fabulous display of casual wear to classy wear. Fashions from both famous designers and boutique brands will be presented in this fast-paced, music filled, professionally choreopraphed, live runway show. 16 beautiful models will feature 48 outfits. Those in attendance will also have the opportunity to purchase items before (starting at 10AM), and after the event at our Fashion Store featuring special show specials, handbags, scarfs, ponchos, hats, sunglasses, tote bags, jewelry and unique gift items. NEW TO THE EVENT - Addiitional shopping with Real Deals on Home Decor, Sweet Tea Clothing Co and Highstreet Salon. Visa, MasterCard, Discover, Cash and Checks will be accepted. Don't miss the fun! To add to the fun, door prizes will be handed out after the show, along with a 50/50 raffle winner announcement. Click on the pictures below from our 2018 event.